In the same time finishing of the metal railing was proceeding and done by metal workers form company Korveta, Bratislava. 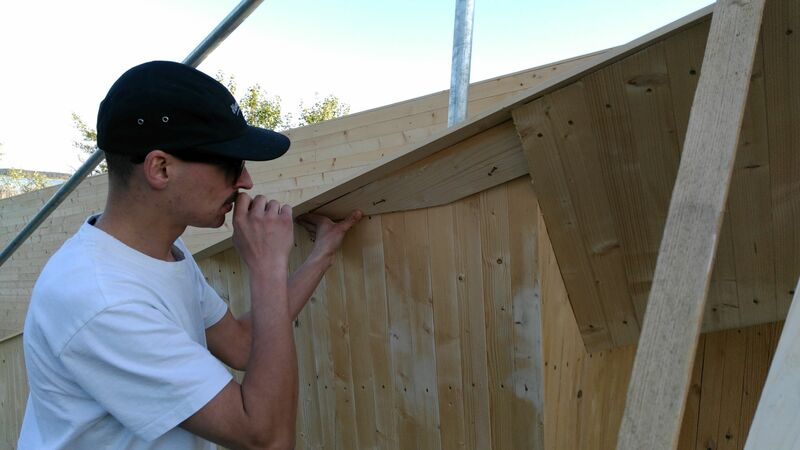 It was bended and welded directly at site.By finishing the cladding, there was decided to create a small overhang – push the last lamelas bit out of outer line, cca 1 cm, to prevent getting water and moisture inside of structure. For the same reason we have decided to round the edges of this “outline” lamelas. For interior cladding it was necessary to use the fresh fir wood (Abies alba) lamelas thus the spruce was breaking by this kind of bending radius. Last pieces were done like a inlayed precise masterpieces, thus the work was going in two direction simultaneously. 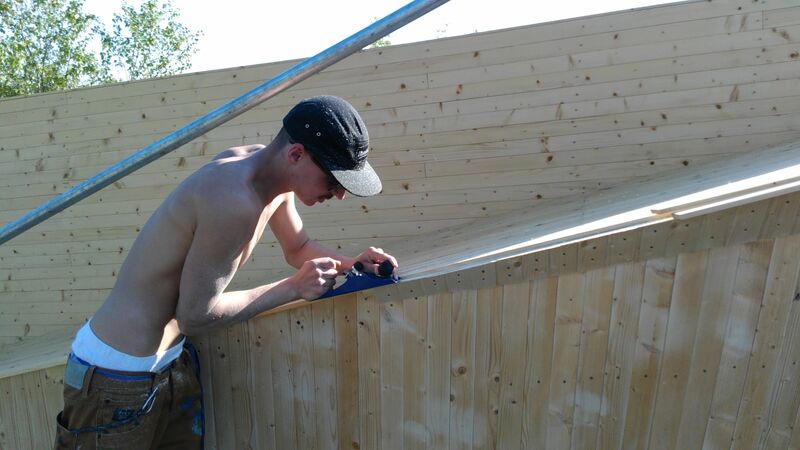 Slovak team with help of new volunteers and two professional carpenters p. Pružinec from Atyp Pružinec, Bratislava and Edward Willems from Ekodrevo, Nová Dedinka, have completed the cladding in one week of consistent work. Last night was very long, we have worked up to 3.00 AM in the morning and have tried also first barbeque. 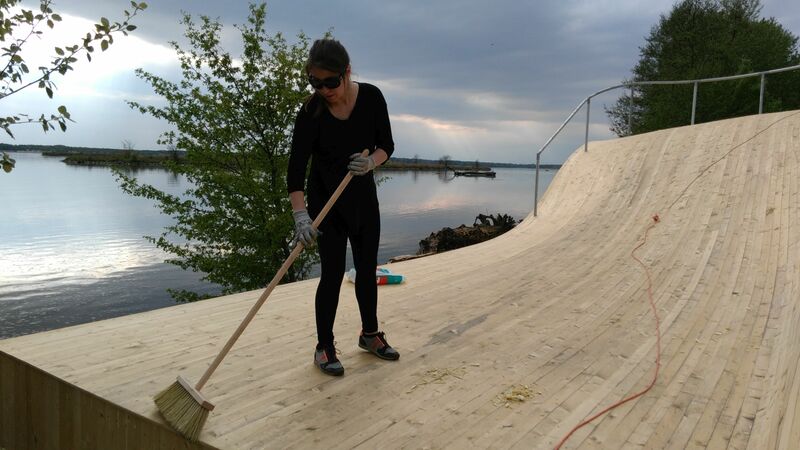 The work is always more pleasant if there is fun :-). Now the surface finishing has to be done.